There is nothing that could ever be sweeter than the Mireya post earrings. 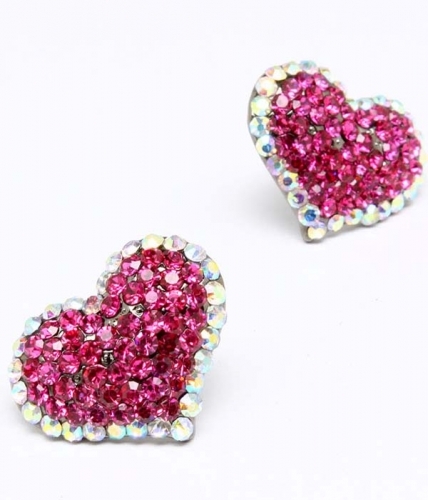 A fuchsia and aurora borealis pavé crystal-studded love heart that sparkles and beats on your ear. For the girls who just want to have fun.